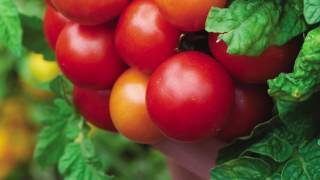 Produces lovely, scrumptious cherry tomatoes in profusion. Red Zebra is thought to be a naturally occurring cross between Green Zebra and an unknown, though certainly red, parent. The beautiful and tartly flavored offspring are gorgeous 2 to 3", round cherry-red fruits with rich orange streaks. The bountiful, high-yielding indeterminate vines are ready to harvest about 75-90 days from transplant. Tomato, Red Zebra is rated 3.0 out of 5 by 5. Rated 3 out of 5 by RedNeckCityBoy from Not as advertised, but still good Purchased this seed pack in late winter, started indoors. They took a little while to start, and one of the two I kept is not doing well. On top of this, the tomatoes resemble plum tomatoes, not cherry. They're coming off elongated with a very fine "zebra" coloration, to the point that it is barely recognizable. I purchased these with the hope of having some snacks for the kids, but these are not the "Cherry" snacking type in the photo. Still tasty, but not what I wanted. Rated 1 out of 5 by mername from Total Bust! Bought the seeds and started them with all of my other tomatoes(started 8 varieties and actually planted 68 tomato plants). The plants looked great, but until this past week (Aug 10) I had no tomatoes from these plants. I have had very few tomatoes from these plants and they are NOT cherry tomatoes and their taste and appearance are something I would never buy. Rated 1 out of 5 by corrie from I wonder what happened.... I planted this tomato right next to a Brandy Boy. The Brandy Boy is producing a mass of great tomatoes.....I just pulled the red zebra out because of the very low yield, most of which was affected by blossom rot (despite spraying). I've heard this is a great tomato, and I see that the other reviewers loved it. I'm wondering what went wrong? Rated 5 out of 5 by Gardener Frank from It Won't Quit! 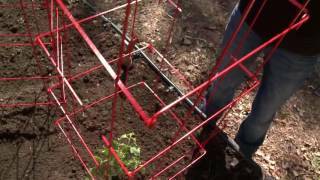 This is a very easy tomato to grow but you're gonna need a strong trellis. It's HUGE! And it keeps growing and producing more and more very tasty 2-3" tomatoes. Haven't had any problems at all. Rated 5 out of 5 by Arianema from AMAZING! Very prolific, even through the erratic season. Came out with 50+ tomato's! First time growing anything. Very impressed. Beautiful tomato as well!